<< Back White collar Dobok taekwondo DOUBLE Y "Generation "
White collar Dobok taekwondo DOUBLE Y "Generation "
Basic dobok for training or for competition. Cut long and loose-fitting jacket. Pants long and loose-fitting with elastic waist, quality sewing down at the bottom of the sleeves and legs of the pant. lLght and mild fabric, 55% cotton and 45% polyester, smooth texture, not turn yellow after washing, not shrinking. DOUBLE Y logo woven in various places to the right of the jacket and pants. The fabric of the doboks is most often a blend of polyester and cotton, in varying proportions. During the first wash, a slight shrinkage is possible. It is more important for the doboks pure cotton. 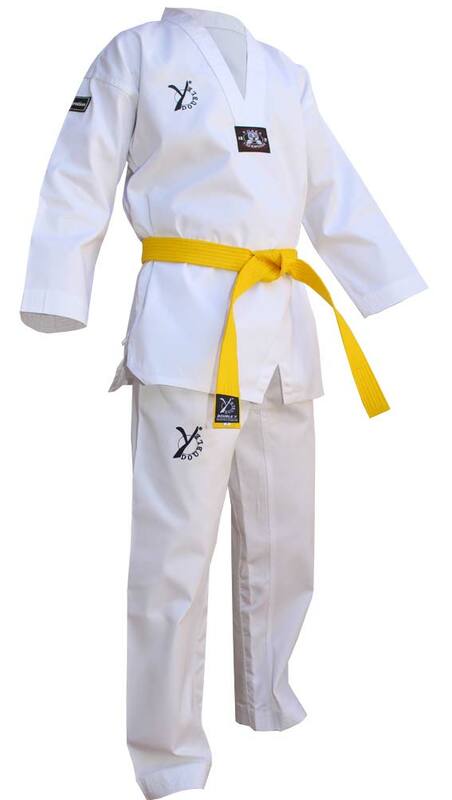 For this reason, it is better wash the dobok before to make a hem. Recommended washing temperature is 30 °. 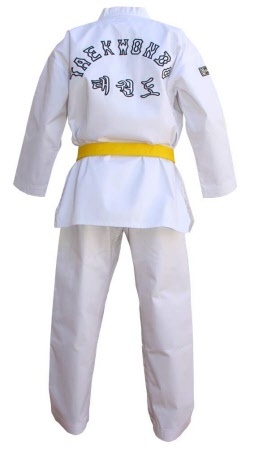 A good quality dobok drying on a coat-hanger will not need to be ironed.